Happy weekend! 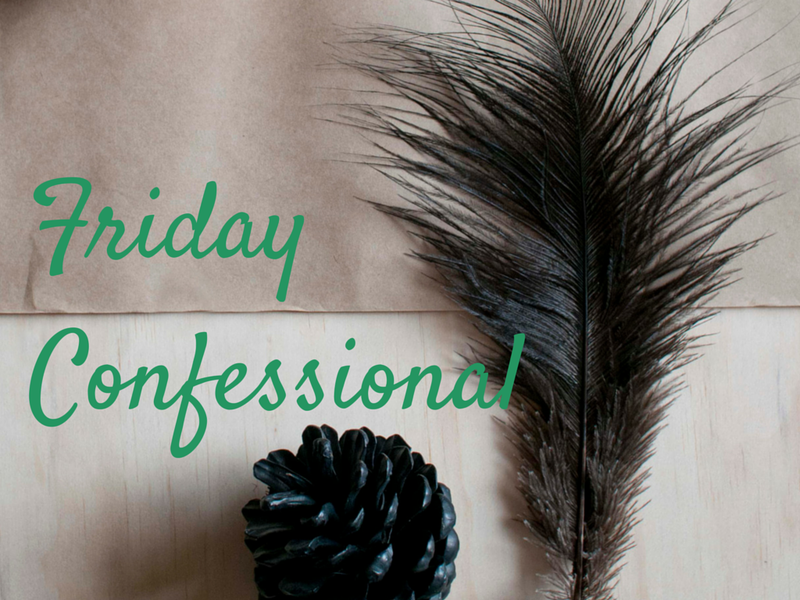 I am a little late with this here Friday Confessional but better late than never is what I like to say. I am happy to report that I am in a much better head space than I was last week. So did things change or get better? No, but my attitude did. There are still some roadblocks in my way but instead of spending my time worrying, I have chosen to continue to live and enjoy life. I'm laughing more and doing things that I enjoy. It's amazing how much it helps to change your focus and outlook. Yesterday I received an email from a former student. After 3 years of being away, she still misses me and thinks I'm the best teacher she has ever had. That really put a smile in my heart. I've also been spending time with my friends. Sometimes when you are feeling crappy, it seems like the best thing to do is to isolate yourself but being around friends can really help to cheer you up. Just make sure to spend time with the friends who are generally positive and won't bring you down further. Laughter is really the best medicine. Thanks for reading and I hope that you have a wonderful weekend.